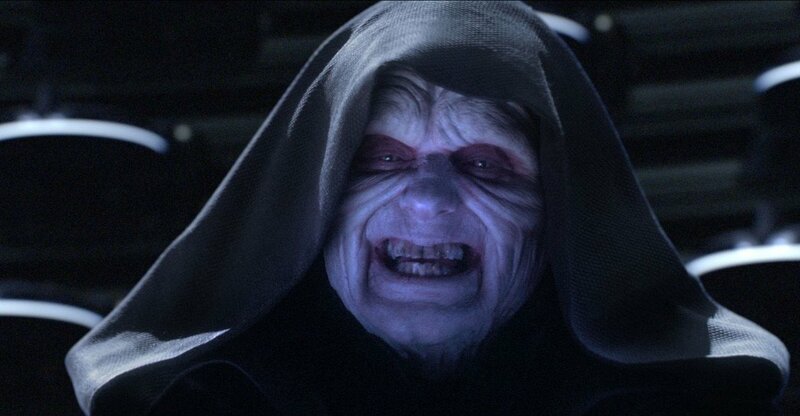 Could Ian McDiarmid Reprise Emperor Palpatine On Star Wars Rebels? It’s not just the upcoming slate of movies that Star Wars fans are excited for at the moment. While there’s definitely a lot to look forward to there, we’ve also got some notable stuff coming down the pipeline on television. Star Wars Rebels is about to air its fourth and final season, which promises to end the show in style. We already know that franchise stalwart Warwick Davis will be voicing Rukh, a character previously seen in the novels, while fan favourite Ahsoka Tano will be returning for more, too. The list goes on, but the upcoming season could be about to get even more exciting if this new casting rumour turns out to be true. Star Wars News Network have reported that none other than Ian McDiarmid has recorded lines for Star Wars Rebels. As any fan can tell you, McDiarmid played the Emperor/Chancellor Palpatine/Darth Sidious in both the original movies and the prequel trilogy and has always been a big hit with the fanbase thanks to his excellent work across all of the films he appeared in. If this rumour is on the level, it would be the first time the actor has portrayed the character in animation. In The Clone Wars, for instance, Palpatine was played first by Ian Abercrombie and then by Tim Curry, after Abercrombie passed away. Suffice it to say, having McDiarmid join Rebels would be a pretty big deal. The only niggle with this is that Palpatine has already appeared in Rebels and was played by another actor. If you recall, the Emperor previously turned up briefly in season 2, where he was voiced by Sam Witwer – who also portrays Darth Maul on the show. We can’t help but to think it would be much easier for the producers to simply get Witwer back to provide the voice rather than go in a different direction. After all, he does do an impeccable impression of McDiarmid, so you could hardly tell the difference, anyways. Still, with no disrespect meant to Witwer, it would be a great treat for fans if the original Emperor returned to the iconic role, so let’s hope that there’s some truth to this new report. One way or another, we’ll find out for sure when Star Wars Rebels debuts its fourth season this Autumn on Disney XD.